Cookbooks count as non-fiction right? I don’t cook. The whole process frustrates me, and the results are rarely good – although I haven’t actually poisoned myself yet, so that’s something. My mom, on the other hand, probably should have been a chef or a baker. Her food is delicious, and she gets genuine enjoyment from spending time in the kitchen (and, I suspect, genuine frustration from my lack of interest in all things culinary). As a result of my mom’s passion for cooking, and my passion for eating, I’ve started to acquire quite the impressive collection of cookbooks. I keep my cookbooks on my coffee table or book shelf instead of in my kitchen because let’s face it, when you don’t cook a cookbook is really nothing more than a beautifully illustrated series of non-fiction stories. I’ve often spent a lazy Sunday afternoon flipping through the introductions, write-ups and recipe lists, salivating over the photos, and flagging recipes that I can take home to mom just in time for the next family dinner. I love finding out more about why a chef picked one ingredient over another, how this herb or that root is harvested, why butter really is better, etc. I may not be a fan of non-fiction, but I’m definitely a fan of food fiction. 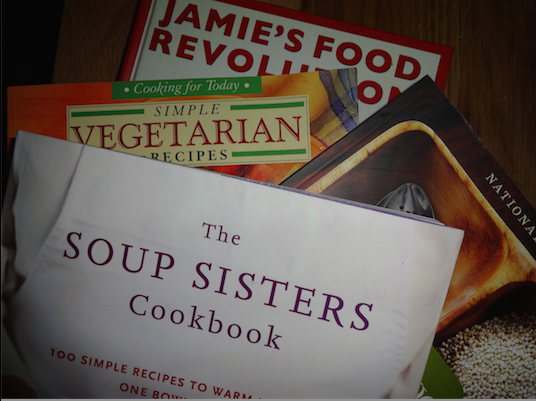 Have you come across a cookbook that’s worth the read?